Meet the newest addition to the family: Cracker. 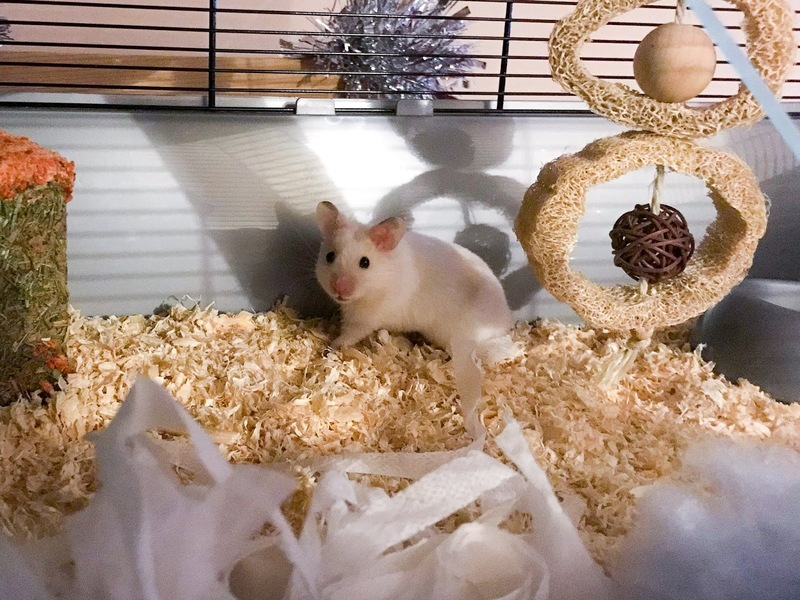 Cracker is my new little Syrian hamster and has already stolen a piece of my heart despite only being mine a few hours. Since he's been home, he's been settling himself into his new hamster home and showing us some of his personality. We've already learnt that he's a fan of climbing and a confident and curious little one. Since moving into our own place, I've missed having a pet around. I love, love, love Dolly to absolute pieces and I miss her so much but I couldn't move her here with me since she's the family dog. I miss having that time with her every evening and nothing could take that away but I really wanted a pet of my own that I could come home to and look after every evening. 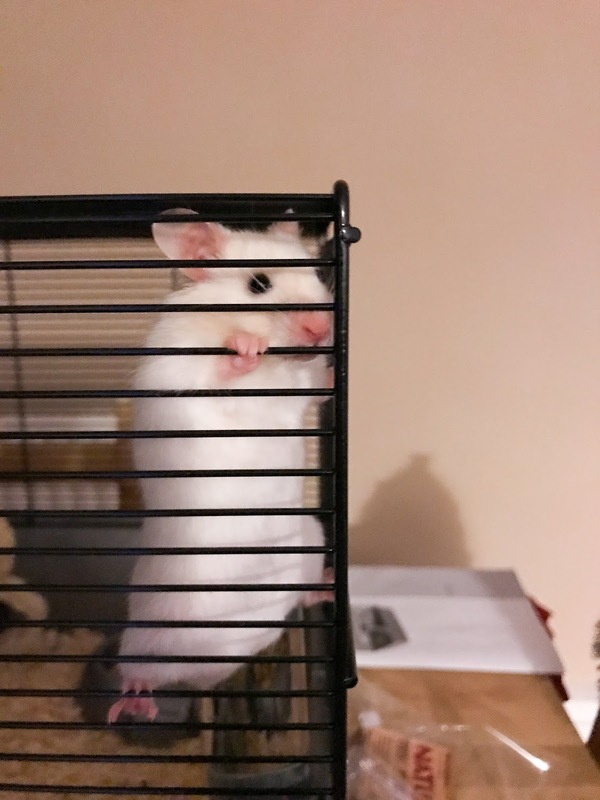 Thinking about working hours, time at home and space, a hamster sounded like the perfect pet so I began doing my research to make sure I could fully commit to one. I spent about a month or so thinking about getting one and two weeks researching all I needed to know about looking after one. Today, John bought me this little man as a gift after he stole our hearts with his active nature. So far, Cracker is doing really well. 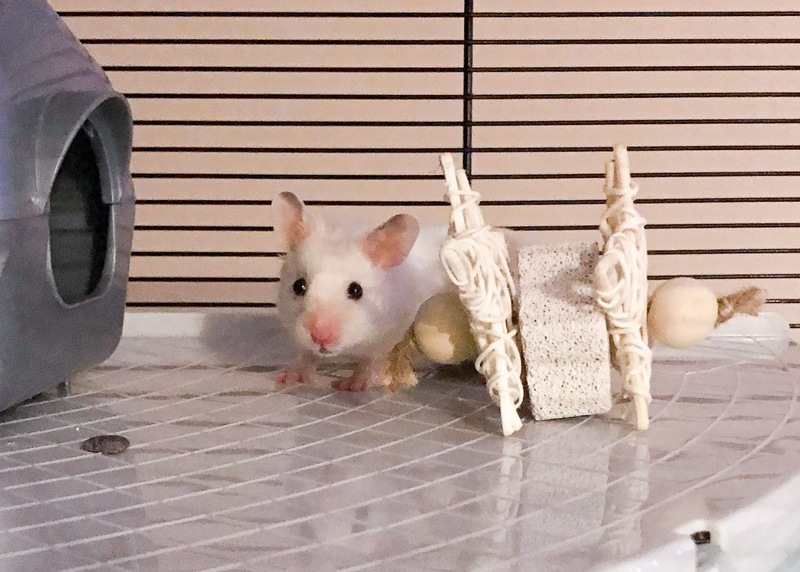 He's already settling into his home and explored the entire thing. 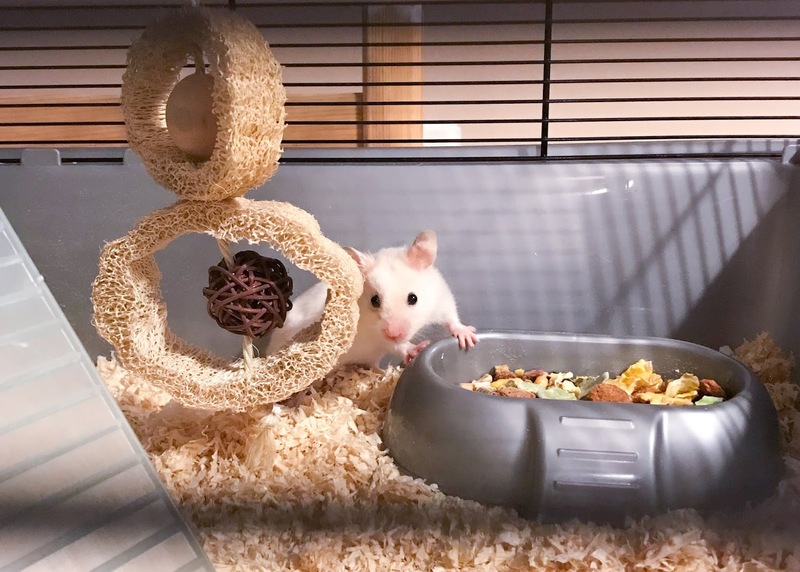 We bought an extra large hamster home for him so he has lots of space to play, nest and explore. He's come to the front of the cage a few times when I've been sitting there and sniffed my hands. This is good because we'd like to train him to be handles and come out of the cage. We've also kept the noise down to a minimum so we don't scare him on his first night. He seems quite brave, confident and very curious which I already really like about him. The name Cracker just came to us. It fit so well being the first day of December, Christmas time, his colouring and the fact we think he's a little daredevil already. It just works and I think it suits him. He's a white and very pale peach coloured hamster. It's hard to spot in photos because his peachy-ness is so light. He's got the most adorable black beady eyes too and no doubt, I will be setting himself up with his own Instagram account. I'm already so happy to have Cracker in my life and I think we're going to have a really amazing time together. I'll be sure to update everyone on how he's doing via all my social media sites and of course, here too. This isn't quite the first day of Blogmas post I had in mind, but it was too exciting to not share! You'll have to wait to see my Christmas decorations tomorrow but for now, enjoy some pictures of my little man and if you want to see more, check out my Instagram stories! If you have any questions about Cracker, feel free to ask in the comments below. Also if you want to see more posts about Cracker let me know too! Happy 1st of December!! !